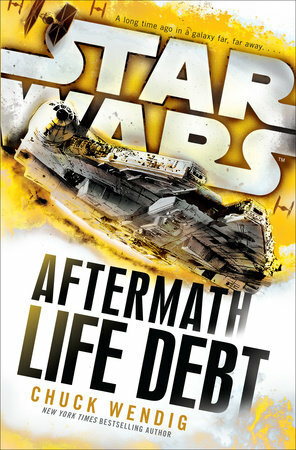 There are a heck of a lot of words in Chuck Wendig’s Aftermath: Life Debt. On its own that’s not necessarily a good or bad thing. But, much like its predecessor, in this second book of Star Wars: The Aftermath Trilogy those words are often arranged in short sentences. Information tends to come in pieces that are then repeated. Sometimes with a little more tacked on. Sometimes bending back in on itself before eventually moving forward. And so there are large chunks of the story where the pacing stutters. It’s a style that can take a long time to get used to regardless of the use of present tense. Life Debt picks up not too long after Aftermath. It’s generally a dark, complex time for the galaxy. Post-Endor the Empire is fragmented with various groups creating their own narrative and course of action with one group in particular coming to terms with their new normal and working to structure the future of the Empire. The New Republic doesn’t quite have it all together either. They still fight to liberate worlds from the Empire and convince free ones to join them. They have their own internal disagreements on the way things should be for the galaxy. Wendig succeeds in making this quandary feel very real and thus, it’s kind of frustrating to read about. The book offers little warmth and humor to balance it. Or rather the humor that was there was hit or miss. Luckily Sinjir, the ex-Imperial loyalty officer, provided the most hits. 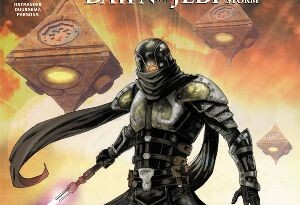 In this round he and bounty hunter Jas, are the most well-developed of the rag-tag, I’m-not-sure-how-they’ve-managed-to-catch-any-Imperials crew assembled by the end of the first book. For the other members there is little growth to be had. But Jas and Sinjir come to terms with an internal conflict that’s not too different from the major powers at play in the galaxy. Who am I now? Who do I want to be? What’s the right path for me? These are questions that are easy enough for most readers to identify with on some level as well. These similarities combined with the characters’ skills also helps create a believable bond between the two. And despite all that, Jas and Sinjir remain two very distinct characters who deal in their own ways. Grand Admiral Rae Sloane is one of the better fleshed out characters as well. Her interaction with her very creepy, mysterious, yet somehow familiar advisor brings a new dimension to her tale as well as shines light on various perspectives for Imperials in this new time. In fact her experiences were part of what made the book’s interludes seem unnecessary. These interstitial chapters feel more closely tied to the narrative than the first book’s did, but the Grand Admiral’s and the two other main plot threads establish the environment of the galaxy enough on their own. I say this even though one of the interludes features one of my favorite movie characters from this new era of Star Wars. Even her bit didn’t give enough of a story or information that you couldn’t have guessed on your own. Han Solo, Leia Organa, and Chewbacca add to the roster of movie characters in this book – and while they affect the action and we get an insight or two, it truly isn’t their story either. They are in it more than Wedge Antilles was in Aftermath though, which is an improvement when book blurbs up our expectations. Unfortunately Wendig’s Leia is a flat facsimile of the character we saw in Claudia Gray’s Bloodline. In Life Debt Leia is more a plot device than a person. It’s not a total loss though as Wendig’s Han is pretty good – illuminating his soft side as well as his impetuousness. And a character from a comic series makes a cross-over for a brief, if welcome cameo. 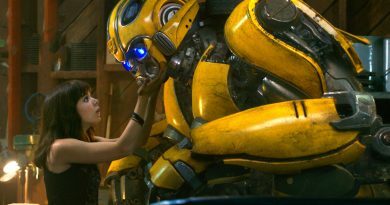 There are a few unveilings of tidbits connected to other movie characters. They are minor in the grand scheme of things. What I really found missing from Life Debt though was suspense. Additionally the hope I so very much associate with Star Wars was in short supply. The book closely follows a template established with Aftermath – from the overall structure of the story to sometimes even repeating events with the same characters in slightly different situations. Combine that with the book’s matter-of-fact voice, getting to see the thoughts of so many characters and frequent telegraphing of important knowledge and cameos, and I was left unsurprised by each reveal. It felt like nothing else could have happened than what did happen. The closest I came to surprise was one incident where I couldn’t remember if someone was sent to check in on a situation or if it was who I thought it was. All in all, Aftermath: Life Debt is an okay book. It bides its time until the last third, when everything finally comes into play as a set-up for the trilogy’s end. 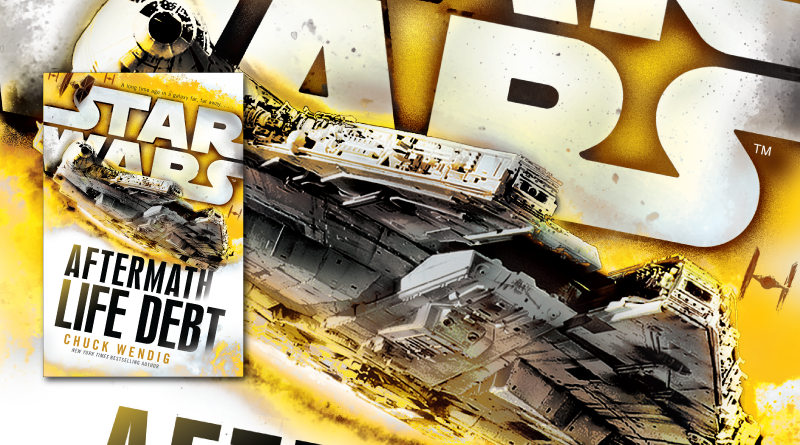 It doesn’t feel as overwhelming as its predecessor but it does still make Star Wars appear more complicated for the reader than most Star Wars books these days do.